Mondo releases new vinyl special editions every single Wednesday. They are they ultimate edition of whatever they put out, featuring extensive liner notes, brand-new commissioned artwork, and always have a limited-edition size. The vinyl itself is usually colored or a photo disc, as well. Basically, it’s like the Criterion Collection of movie and gaming soundtracks. This week sees the release of the soundtrack to the Netflix Marvel series The Defenders! 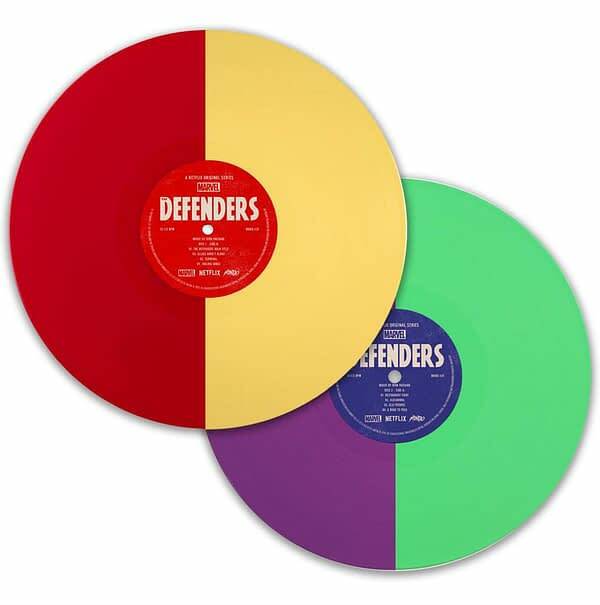 Mondo is proud to present the premiere vinyl pressing of the soundtrack to the Netflix Original Series MARVEL’S THE DEFENDERS. This limited-series event, several years in the making, finds Marvel’s finest street-level heroes Daredevil, Jessica Jones, Luke Cage and Iron Fist (along with help from various other recurring characters from their respective series) joining forces to take on the sinister organization,The Hand, along with the mysterious yet familiar new recruit (known to them as The Black Sky). 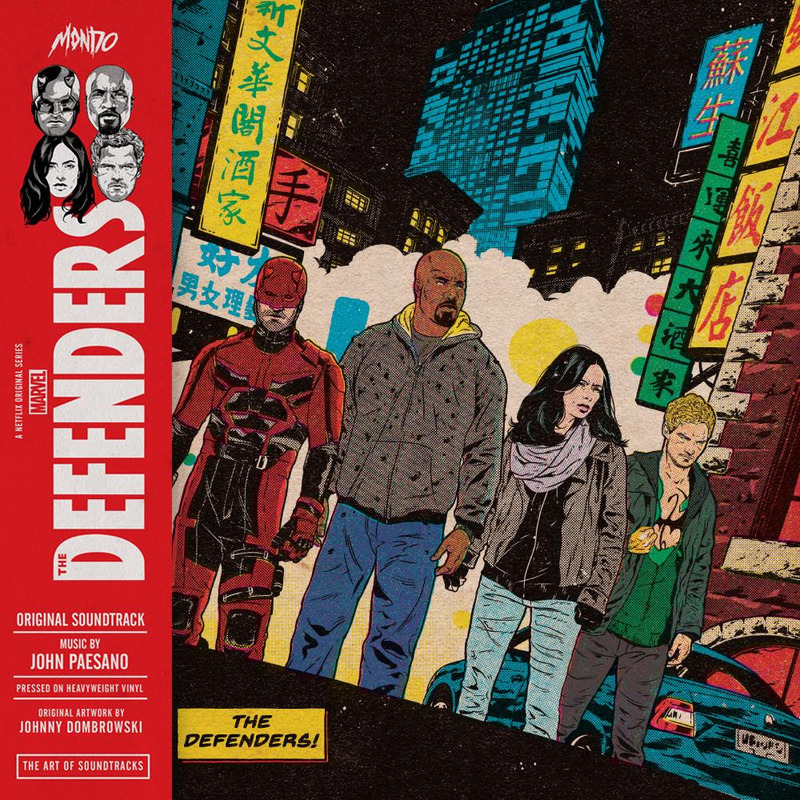 Composed by John Paesano (MARVEL’S DAREDEVIL – Season One), the score to THE DEFENDERS takes his work to another level. Incredibly dynamic, serious yet still fun, and ominous but still optimistic. Paesano takes the musical world of the four separate comic book superheroes, all dealing with their own sonic demons, and produces a seamlessly shared musical universe for them to co-exist. This limited-edition vinyl release is pressed on 2X 180 Gram vinyl (Disc 1: red/yellow split, Disc 2: purple/green split) and features amazing new collectible artwork by Johnny Dombrowski. As with all Mondo releases, this will go up for sale on Wednesday at Noon central time. The edition size for these releases are limited as always, and this one is no different. It’s never worth the risk to wait with these — it will sell out. They will also have their previous Marvel Netflix soundtracks available as well. You can grab a copy of those or The Defenders today right here. Wands Up – Fantastic Beasts: The Crimes of Grindelwald Teaser Trailer Is Here!